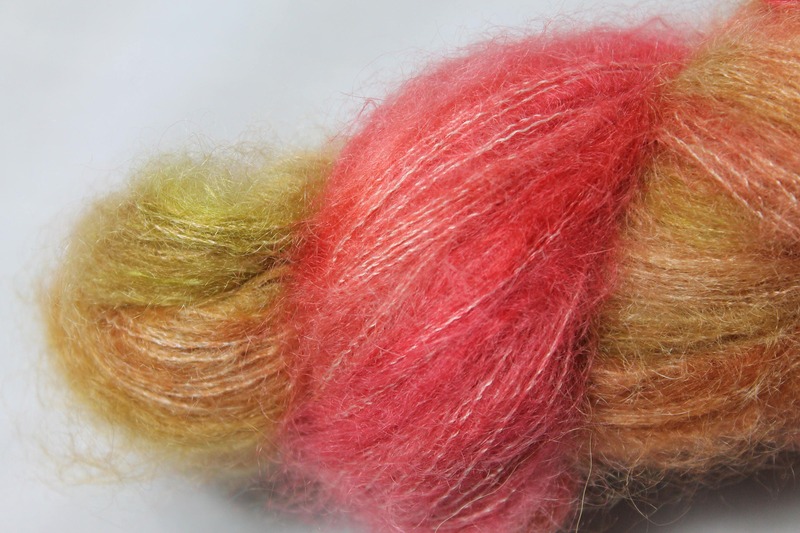 Hand painted, lace weight kid mohair and silk yarn in soft pinks, greens and oranges. 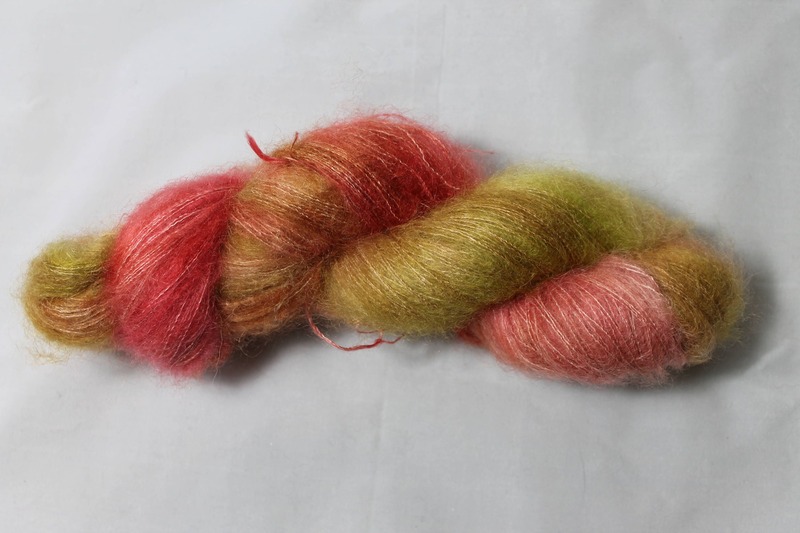 This yarn colour was inspired by the cider orchards that surround us in rural Somerset. Once the blossom has finished the baby apples set in a rosy, pink, green, orange hue and promise the harvest yet to come. I hand painted this yarn using a professional acid dye. The dye recipes are my own and I use an earth friendly technique. 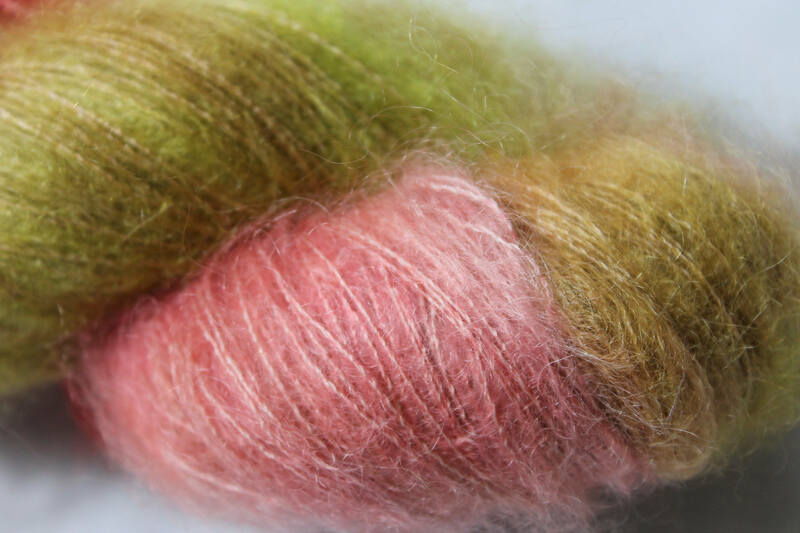 Each skein will have been washed to remove excess dye and the finished yarn is soft, and very strong. care instructions: hand wash, dry flat and DO NOT tumble dry. Press using a warm to hot steam iron.